Instead of trying to have an excuse of why I have not been posting here. Well go check out MacroFab. It is the company I co-founded a bit over 4 years ago now. I also am the co-host of the MEP or MacroFab Engineering Podcast. It is a weekly electronics podcast and we are currently on episode 119…and we have not missed a single week! I have been doing side projects for fun but I have just been very bad about posting them here. Typically they just go to my twitter account and I talk about them on the podcast. I will be putting more effort into posting here. With that out of the way… Current plan is to just look at my past incomplete projects and either finish them or kill them off. Starting with the FPGA Gameboy project. First order of business is to start making some dedicated hardware for the Gameboy. 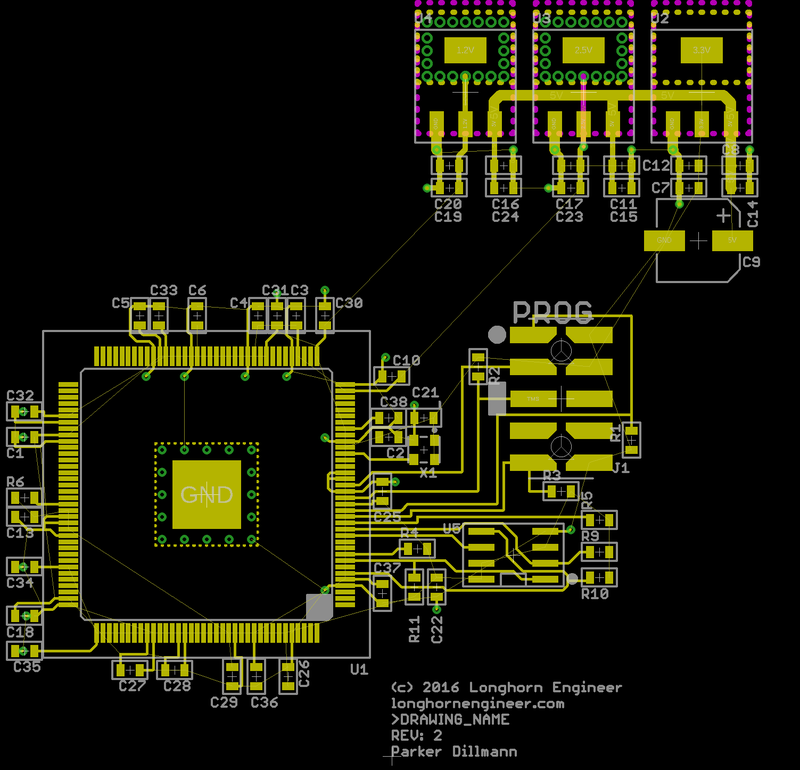 To quicken the development process I am going to lift the FPGA design block from the ChromaColor project. The FPGA is an older Cyclone 4 module (EP4CE6E22C8N) but it should do the trick and is still fairly affordable. I would like to move it to a newer platform like a 10M08SCU169C8G.